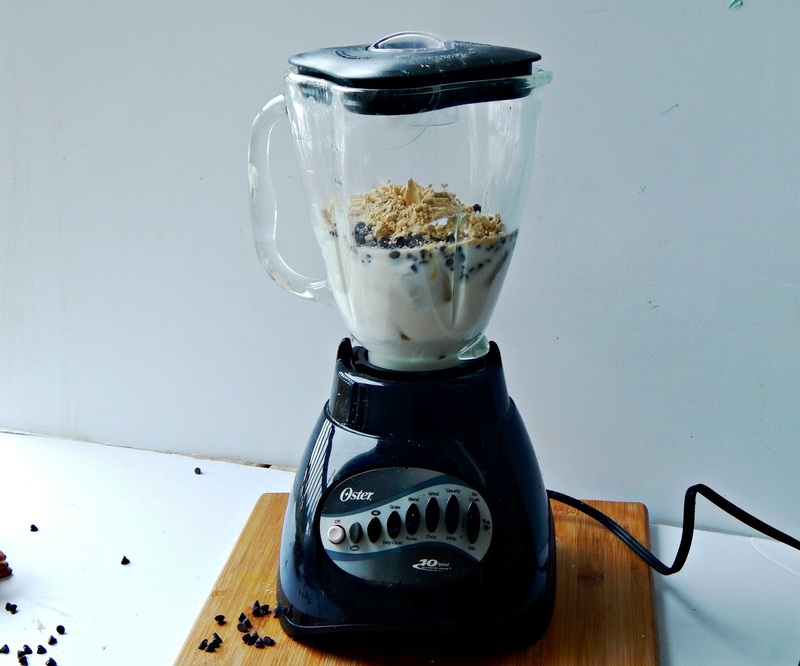 One snack that I have gotten out of the habit of making is smoothies. I love having them and can pack them full of nutritious things, so smoothie making is one of my top priorities this week! 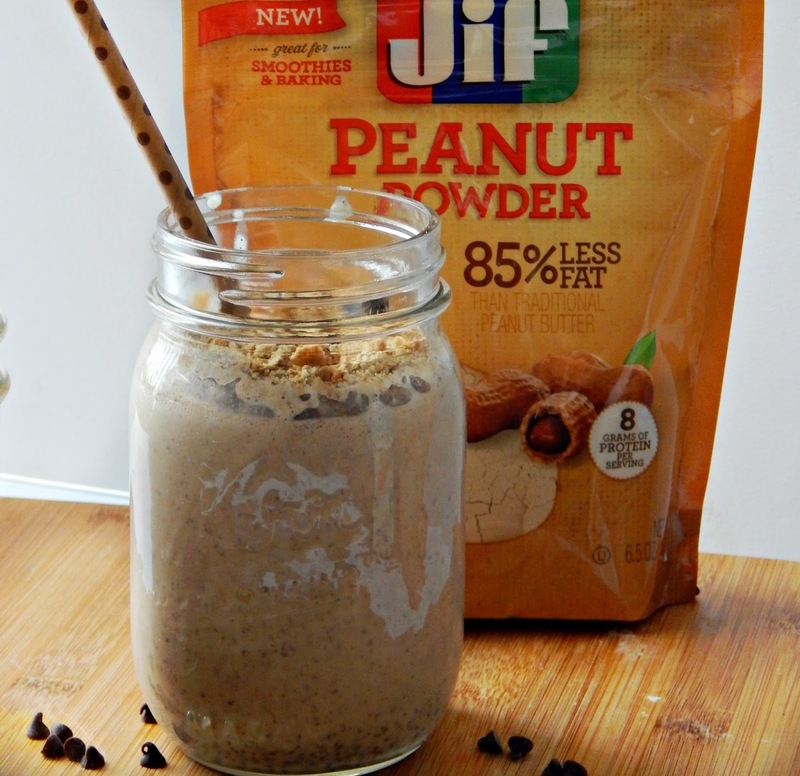 Jif has a new product called Jif Peanut Powder, and I found it at my local Walmart. 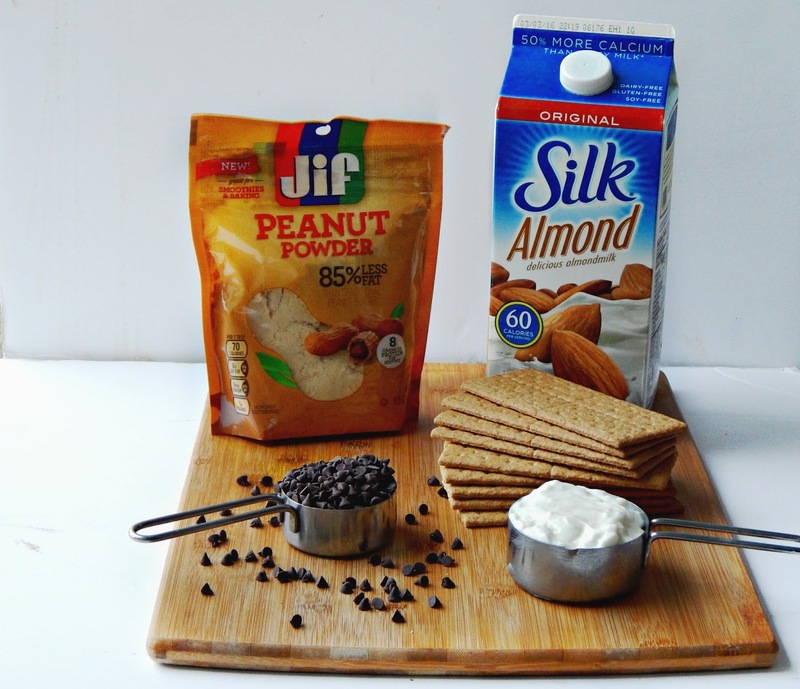 It’s literally made from one ingredient – roasted peanuts, and doesn’t have any added sugar or salt like other brands do. 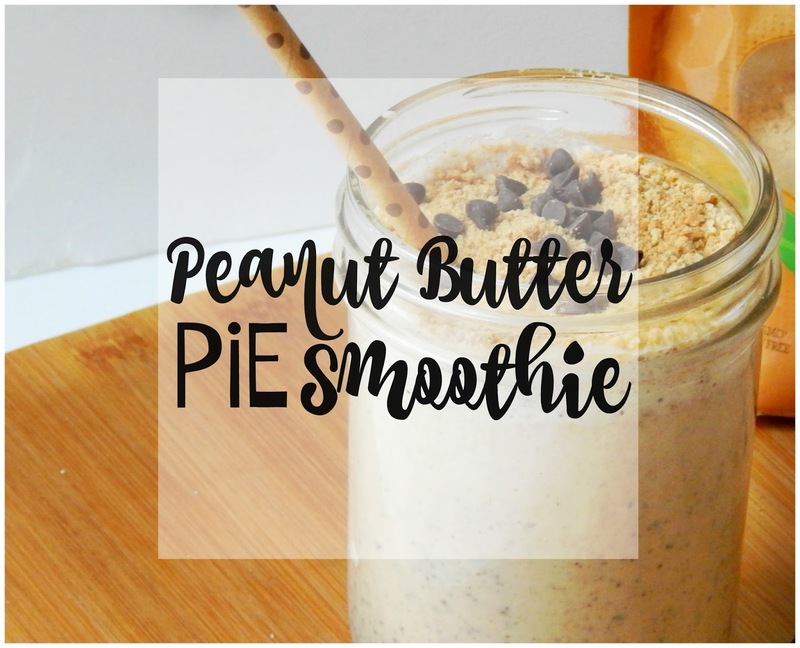 I’ve been experimenting with it in different foods because it has the same amount of nourishing protein as traditional peanut butter, except it has 85% less fat! 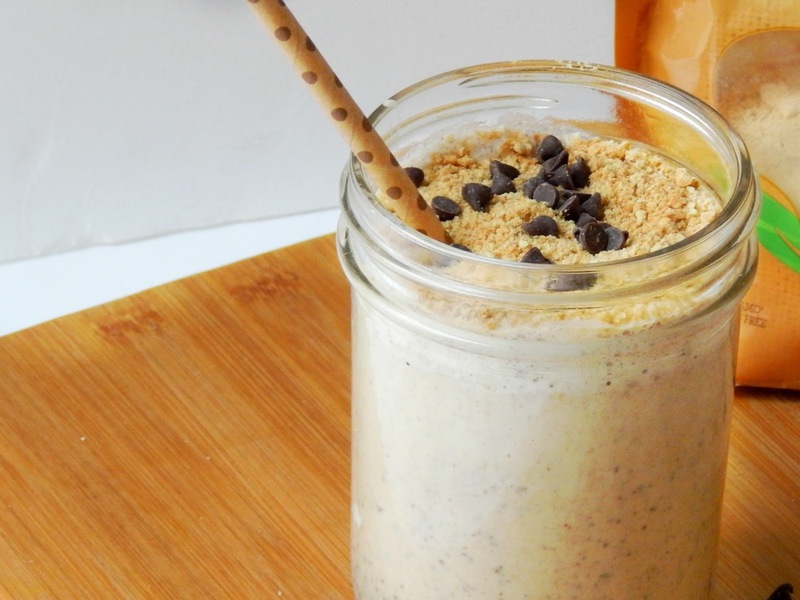 Place ice, yogurt, almond milk, chocolate chips, banana, and Jif Peanut Powder in a blender. Blend until smooth. 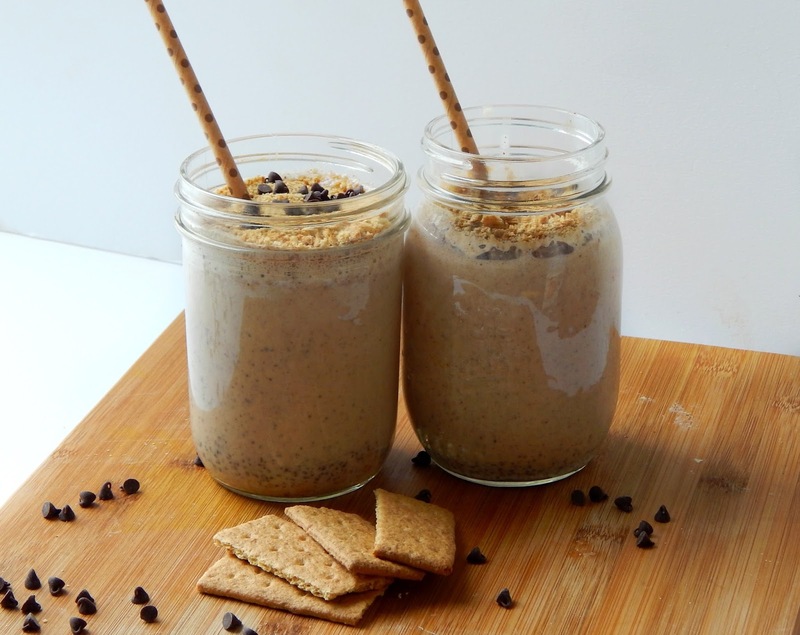 Sprinkle the crushed graham crackers in the bottom of your glass, and then pour the smoothie mixture in and top with the remainder of graham crackers. 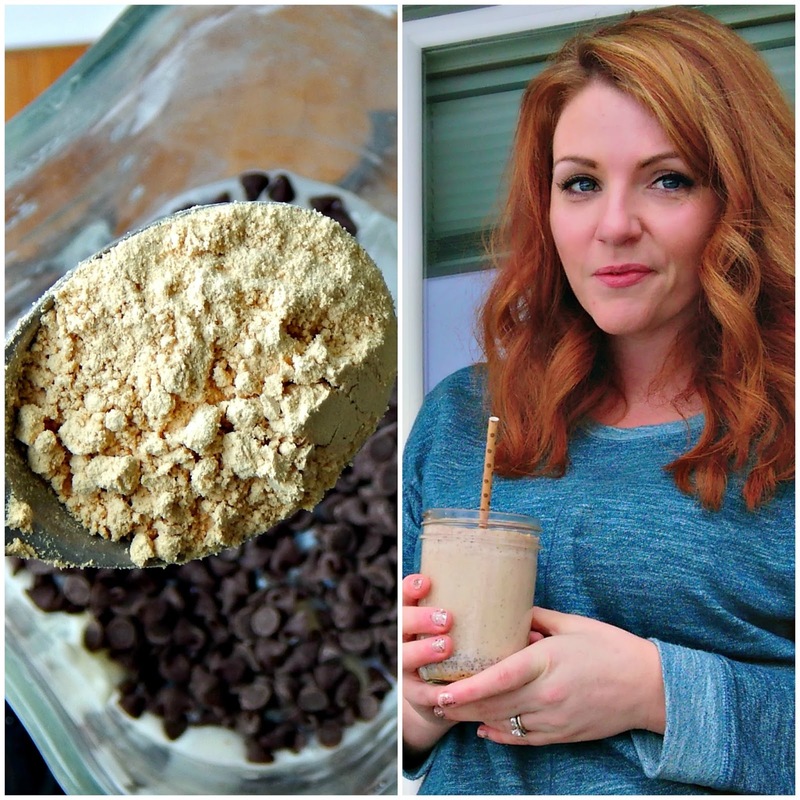 This recipe will make 2 12 ounce servings, or 3 8 ounce servings. 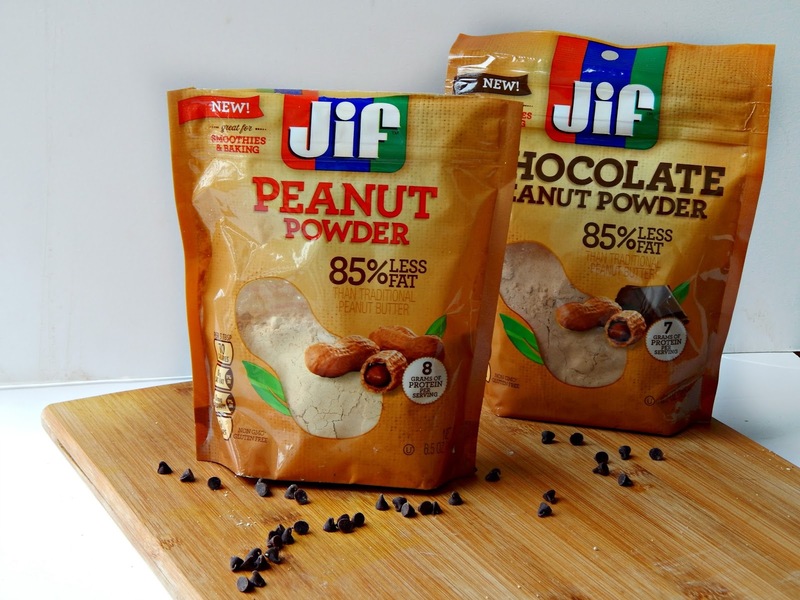 Jif Peanut Powder also comes in chocolate and contains semisweet chocolate and a dash of sugar. 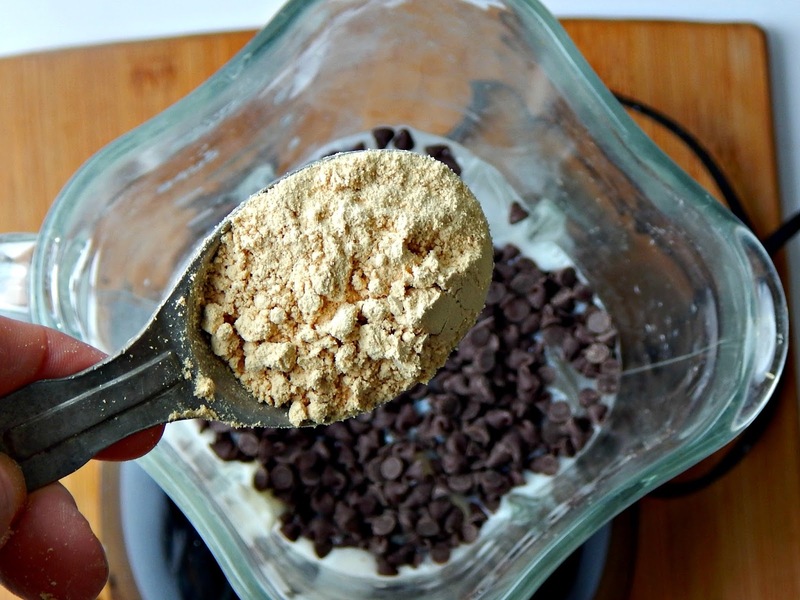 I’m going to try this recipe with the chocolate Jif Peanut Powder next and see which version I like better! 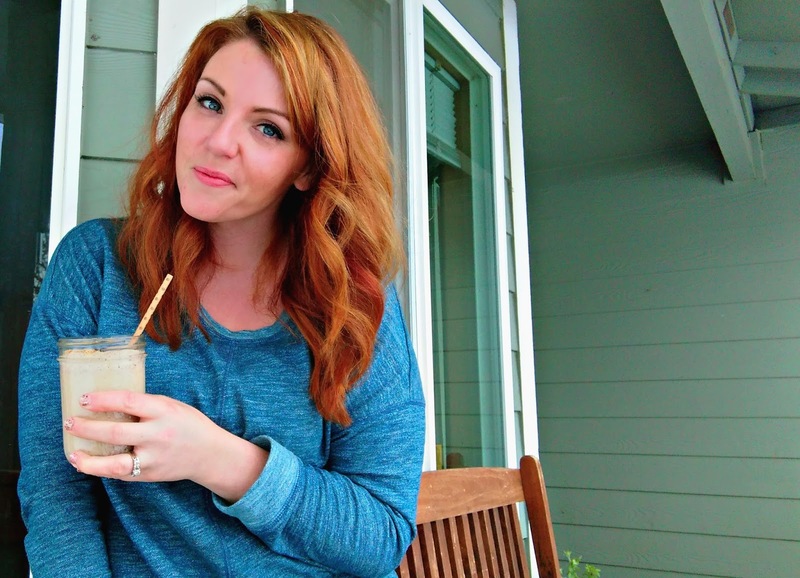 Are you the kind of person who writes down New Year’s Resolutions? Do you set goals, or try and focus on setting new routines in January? 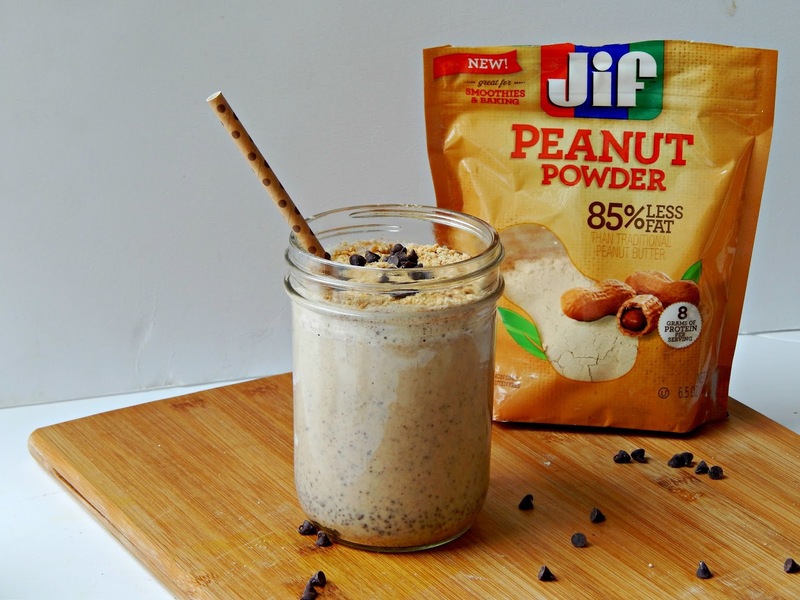 Click HERE to find out more information about Jif Peanut Powder. Love this idea. 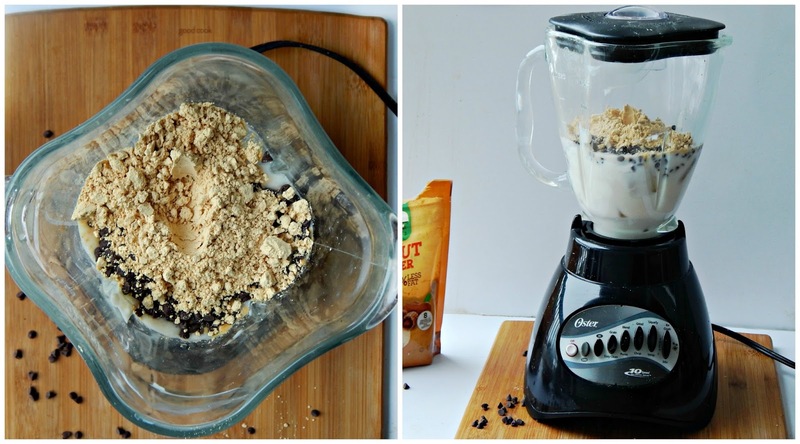 I didn't know that there was a such a thing as peanut powder. Great idea and great recipe. Thanks for sharing on Tips & Tricks!